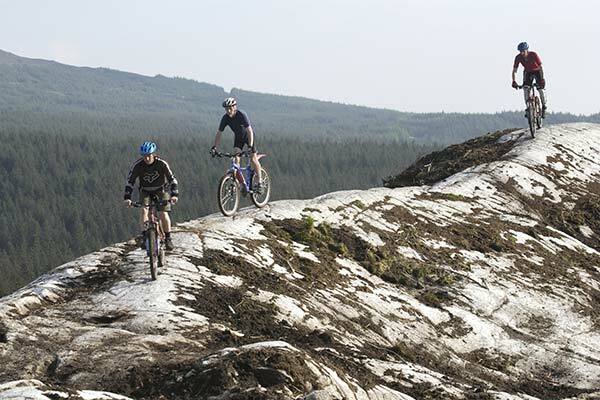 As well as miles and miles of quiet country roads to explore, Dumfries & Galloway is also home to the world famous 7 Stanes mountain bike trails, two of which are within 40 miles of Little Laight Cottage at Glentrool and Kirroughtree. Five of the 7stanes are located in Dumfries and Galloway, with the remaining two further east in the Scottish Borders. It consists of over 400 km of cross-country all weather mountain bike trails of which more than 60% are purpose-built single track. There are gentler trails suitable for families if wanted although most centres cater for a wide range of abilities from complete beginners to seasoned expert. Set in the Galloway Forest, Glentrool contains fun routes for family and beginners as well as a blue grade trail, all surrounded by stunning scenery. Call 01671 840 302 for more details. Kirroughtree is home to some of the best technical single track in the country, this is also a favorite family venue with a wide range of trails, seasonal café, and a great kids’ play area. There are three trails that run through the Galloway Forest. One round Clatteringshaws Loch which follows roads and tracks and has no dramatic up or downhill. A second-round Loch Braden with an optional loop to Loch Doon and the third a circular route from Glentrool. See www.forestry.gov.uk/gallowayforestpark for more details. View Mountain Biking near Little Laight Cottage on a larger map.